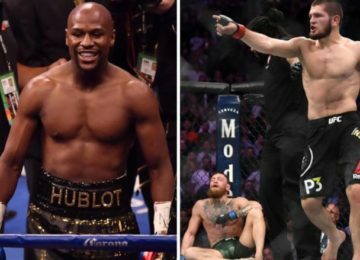 Since the inception of the UFC’s much maligned Reebok deal, fans and pundits alike have been criticising both UFC and Reebok. 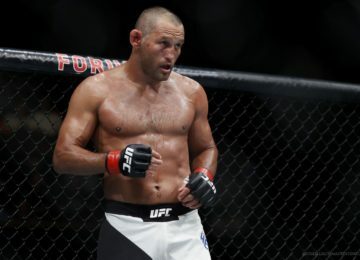 Fighters too have made plenty of complaints and revealed that they have lost hundreds of thousands of dollars of the sponsorship money because of the Reebok deal and the new kits. Fans too have often felt that the new Reebok kits of the fighters are too bland and monotonous and are not personalised enough. 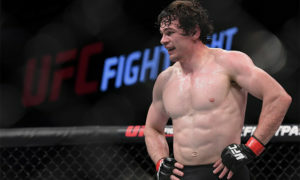 However, recently Reebok has somewhat got back into the good books by releasing a personalised and really aesthetically pleasing kit for UFC fighter Olivier Aubin-Mercier. Olivier Aubin-Mercier just received a new kit from Reebok!